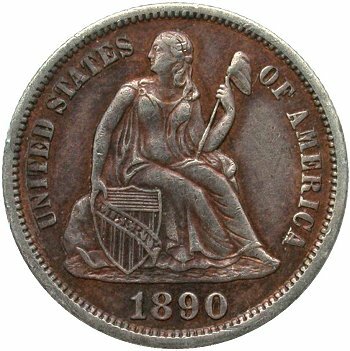 Comments: Obverse 6 is paired with a second reverse die. 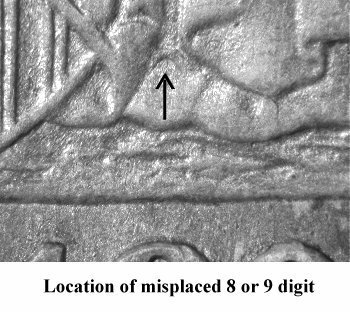 A reminder that the primary Obverse 6 diagnostic is the top loop of an extra 8 or 9 punch located in the gown directly to the right of the scroll end. 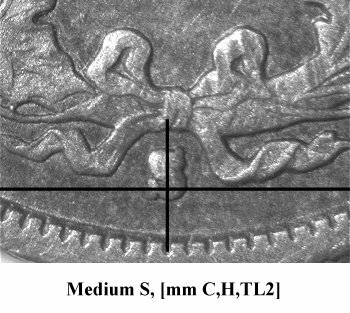 Variety 110 is the second die pairing for Reverse I. 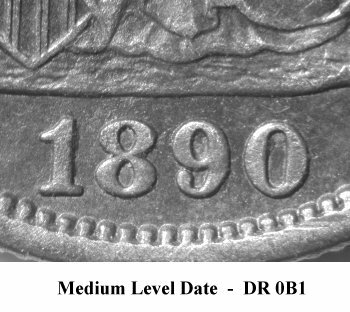 Previously, Reverse I was paired with Obverse 8 and exhibited no special diagnostics other than the Medium S mintmark that is positioned high inside the ribbon ends. 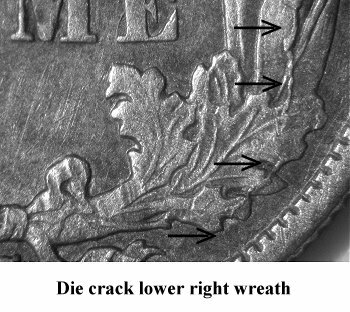 When paired with Obverse 6, an obvious die crack forms in the lower right wreath as illustrated. 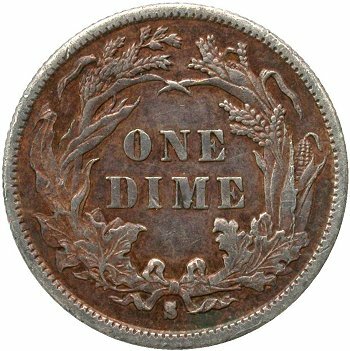 Variety 110 is not often seen and when encountered the variety will be in lower circulated grades.